A boarding pass issued by Air India with pictures of Prime Minister Narendra Modi and Gujarat Chief Minister Vijay Rupani has come under criticism, days after the PM's photo on railway tickets created a furore. The airline said the passes featuring the photographs, which were third-party advertisements, would be withdrawn if they are found to be in violation of the Model Code of Conduct. Former Punjab DGP Shashi Kant on Monday tweeted a photograph of his boarding pass issued at the New Delhi airport, questioning how pictures of the two leaders could be on it. At New Delhi airport today March 25th, 2019. My Air India Boarding Pass, prominently flashes Narendra Modi, "Vibrant Gujrat" & Vijay Rupani. Picture of boarding pass is below. "At New Delhi airport today March 25th, 2019. My Air India Boarding Pass, prominently flashes Narendra Modi, "Vibrant Gujrat" & Vijay Rupani. Picture of boarding pass is below. Wonder why we are wasting public money on this Election Commission, which doesn't see, hear or speak...," he tweeted. 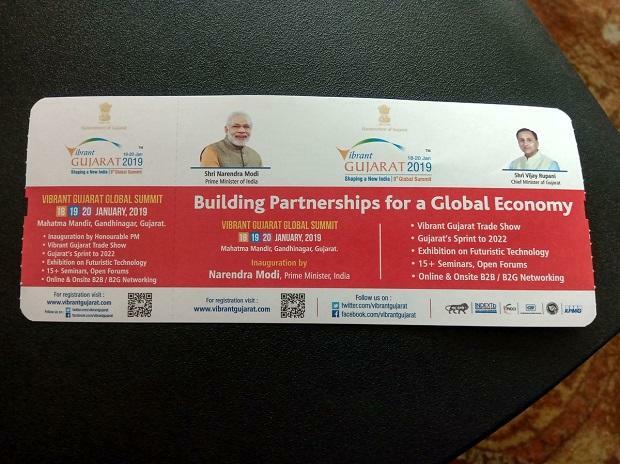 Air India spokesperson Dhananjay Kumar said the boarding passes seemed to be one printed during the Vibrant Gujarat Summit held in January and the photographs were part of the advertisement from 'third parties'. "The rolls seem to be the ones left over from the boarding passes printed during the Vibrant Gujarat Summit and the photos are third-party advertisements. It has nothing to do with Air India. "However, we are scrutinising if third-party ads fall within the purview of the Model Code of Conduct. If they do, these will be withdrawn. These boarding passes are not just for Gujarat, but are in use across India,"Kumar said. On March 20, tickets with photos of the prime minister were withdrawn by the railways after the Trinamool Congress complained to the Election Commission about them. The railways had also said that it was a third-party ad and leftover from a pack of tickets printed a year earlier. The national transporter had instructed zones to withdraw the tickets.